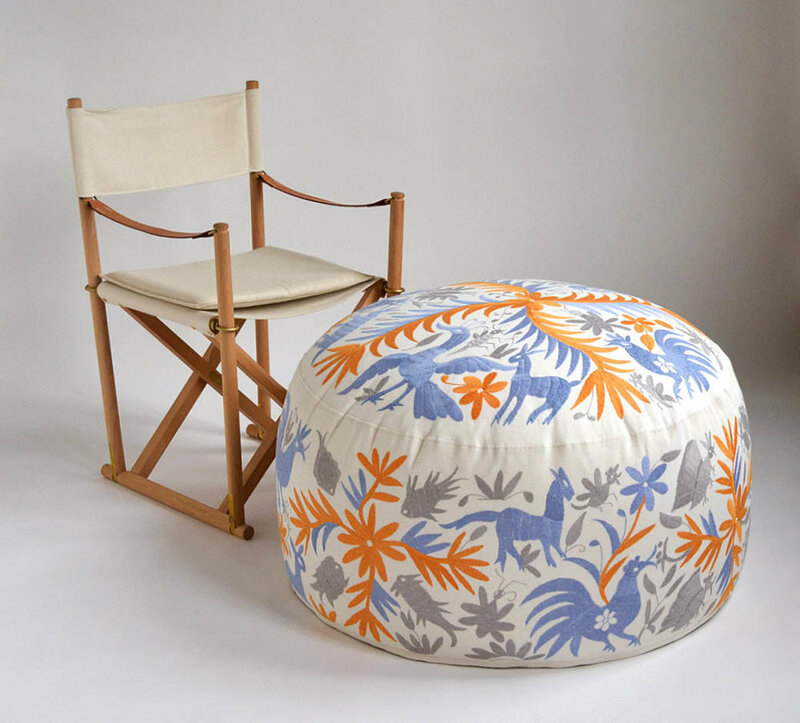 This authentic Otomi Ottoman is hand embroidered by the Otomi Indians of Tenango, Mexico. Large brass custom dyed zippers separate the fabric cover from the leather bottom to allow dry cleaning or hand washing of the cover. Otomi embroidery is very durable and easy to care for. - 35" diameter x 18" high. 90cm diameter x 45cm high. - 100% cotton thread embroidered on 100% off-white cotton fabric. - Feather topper and sides.